Living a Fit and Full Life: Dive Deeper Into God's Word with the New NIV, The Woman's Study Bible by Thomas Nelson! Dive Deeper Into God's Word with the New NIV, The Woman's Study Bible by Thomas Nelson! 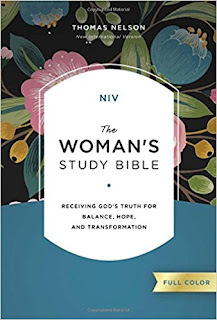 Dive deeper into God's Word with the new NIV, The Woman's Study Bible by Thomas Nelson! The new NIV, The Woman's Study Bible by Thomas Nelson is a wonderful study Bible for women that is helping me grow like never before by teaching me to receive God’s truth for balance, hope, and transformation. I absolutely love the detailed study notes and quotes from godly women throughout history. The new NIV, The Woman's Study Bible by Thomas Nelson is an absolutely beautiful study Bible that has it all. It's the perfect way to grow your faith! 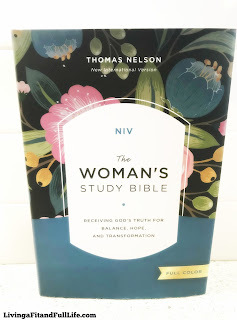 The new NIV, The Woman's Study Bible by Thomas Nelson is the perfect study Bible for women! You can find NIV, The Woman's Study Bible on Amazon, Barnes and Noble and other bookstores.